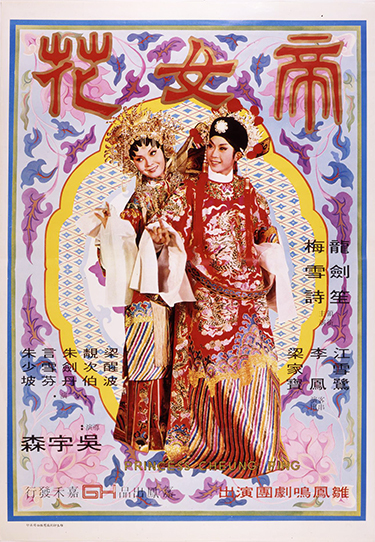 An early film from acclaimed director John Woo, Princess Chang Ping is based on a famous historic Chinese opera portraying the tragic love story between Princess Chang Ping and young scholar Chou Shih Hsien. The Ming Dynasty is coming to a faltering end with the new Manchu Dynasty ready to invade from the North. About to wed her true love Chou Shih Hsien (Mui Suet See), Princess Chang Ping (Lung Kim Sung) manages to evade the new dynasty and go into hiding as a Buddhist nun. Under the rule of the new Emperor, the Princess and her eternal love are eventually reunited. But as is always the way with tragic love stories, their happiness does not last long.